Veyre was a chemist from Saint-Alban-du-Rhone, a small village in l'Isere, France, who joined the Lumière firm in the hope of adventure and to help out his financially straitened family. One of the team of Lumière cameramen who took the Cinématographe around the world, he arrived at New York on 19 July 1896 and made his way down to Mexico, where in August he and Lumière concessionary C.F. 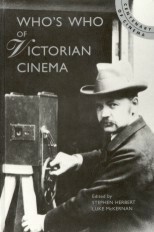 von Bernard exhibited the Lumière Cinématographe in Mexico City, starting on 6 August 1896 with a private demonstration for an invited audience that included President Profirio Diaz and members of his Cabinet at Chapultepec castle, Mexico City (Diaz's own residence). The first public screening, organised by Veyre and Bernard, took place at 9, Plateros Street, on 16 August 1896 (a press screening took place two days earlier), and public reaction was one of the usual considerable enthusiasm. Veyre moved on to Guadeloupe in November 1896, and thence to Cuba, where the Cinématographe debuted in Havana on 24 January 1897, the Spanish authorities only allowing Veyre into the country on condition that he take propagandist pictures of military manoeuvres. 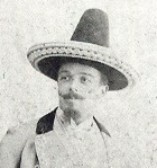 By August 1897 he was in Caracas, Venzeuela, moving then on to Martinique and then Colombia. He returned to France in October 1897, only to set out once again for Japan, travelling via Canada. In October 1898 he reached to Japan, where he replaced François-Constant Girel, next visiting China between February and April 1899. In April 1899 he arrived in Hanoi, returning to France in February 1900 in time for the Paris Exposition. Some time in 1900/01, having left the Lumière firm, he journeyed as a solo operator to Morocco, where he demonstrated photography and cinematography for Sultan Abd al-Aziz, who possessed an insatiable desire for Western inventions, well documented in Veyre's own published account.